1. SX55 plaster machine with removable large hopper. 2. 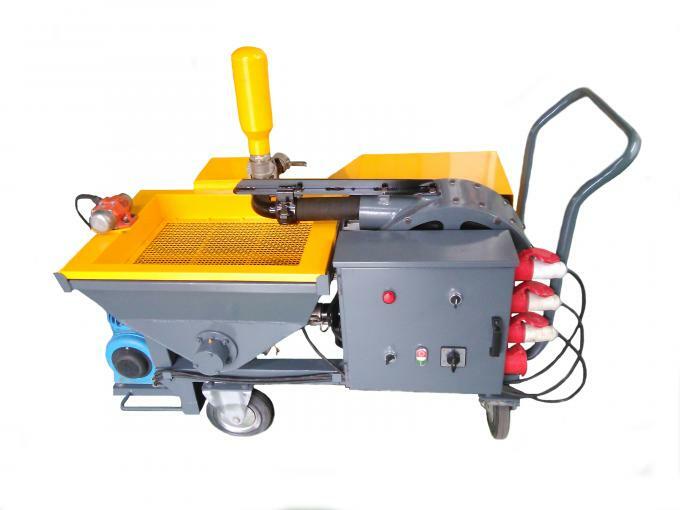 Multi-functional equipment with mixing, pumping, plastering device. 3. The spray speed,capacity, pressure are adjustable. 4. Small size, simple structure, easy operation and maintenance. only 150 square/hour (thickness 2 cm). 6. The material ratio (cement) 1:3 cement mortar. 1. 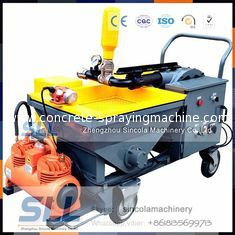 In the construction engineering industry, the machine is used for horizontal and vertical transferring and spraying mortar or cement. 2. In the chemical and paper industry, delivering the raw pulp material and waste materials. 3. 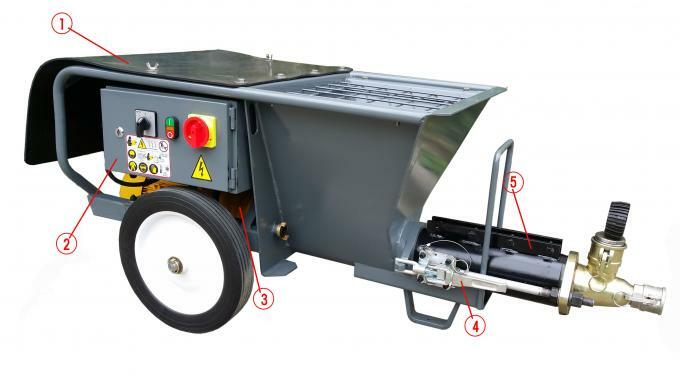 In the mining tunnel construction industry, the machine is used to grout and protect slope. 4. 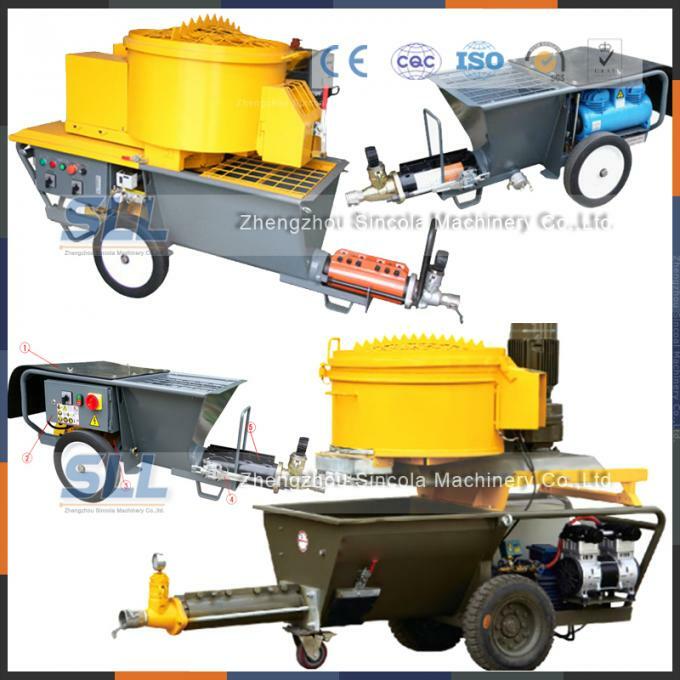 In the highway pavement maintenance, it used for road surface collapse pressure mud filling. 5. In water conservancy engineering, it is used for reinforcing the dam. progress, and cut down the cost of the frame material expenses. skilled hard day of work. be a day, get rid of other factors, the annual income of 500000 yuan of above, are also expected.